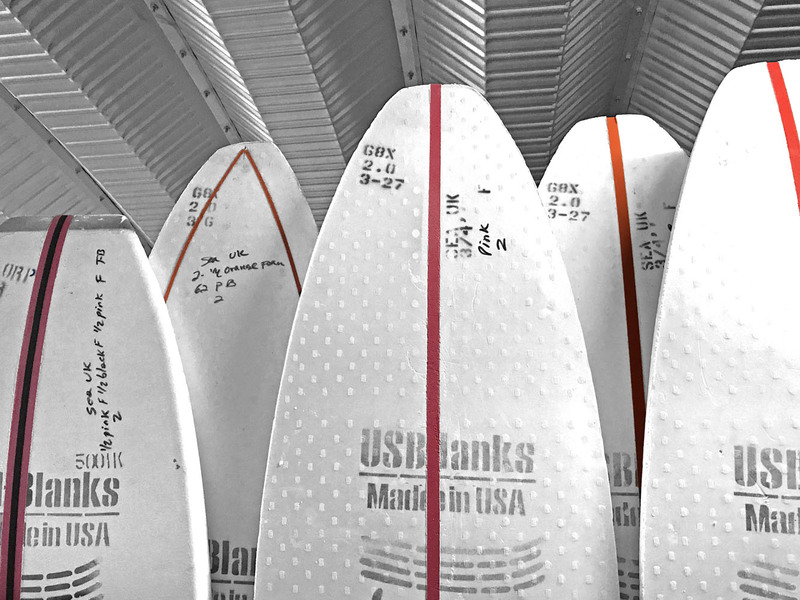 US Blanks Pat Rawson designed 610A (71.4 litres) 6’10 7/16″ long x 24 1/16″ x 3 1/2″ thick with our stock 4 mm unidirectional PLY Stringer. Designer Comments: This is my big guy fish blank, designed to be able to easily net a 6’9” by the bottom measurement for 6’5 to 6’9 length contemporary or Retro fish (or single fin) design. Get the full US Blanks Catalogue here. US Blanks Pat Rawson designed 610A. 6’10 7/16″ x 24 1/16″ x 3 1/2″ thick with a 4 mm unidirectional PLY Stringer. 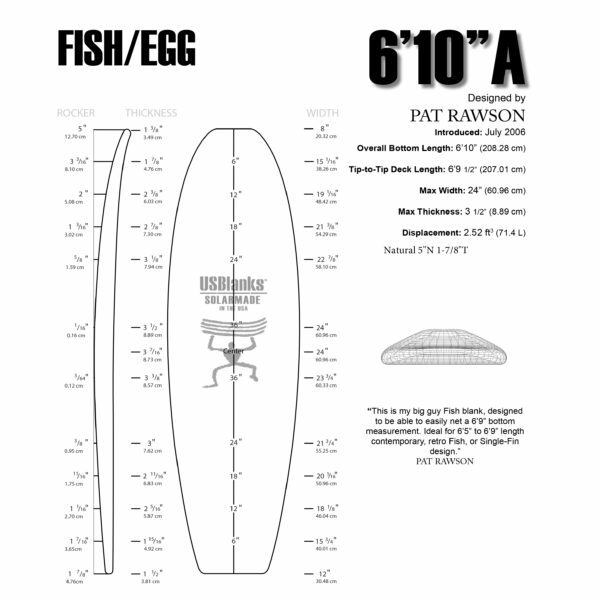 Designer Comments: This is my big guy fish blank, designed to be able to easily net a 6’9” (203 cm) by the bottom measurement for 6’5 to 6’9 length contemporary or Retro fish (or single fin) design. 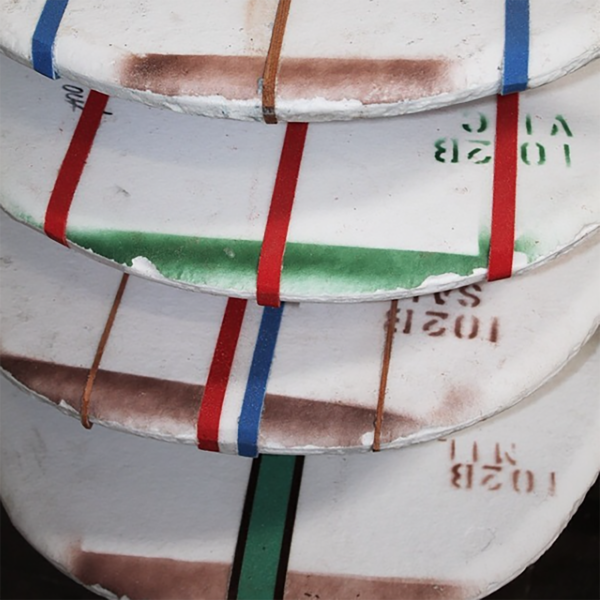 US Blanks: The world’s best selling surfboard blanks – without doubt the strongest, most accurate, most user friendly foam on the market. Surfboards made with US Blanks have the best feel according to all research. The stringers are straight, clean and easy to plane. The foam cleans up so well. The plugs are from the best shapers, bar none. Plus you get custom rockers, coloured foam, coloured glues, a huge range to choice from, and total respect! 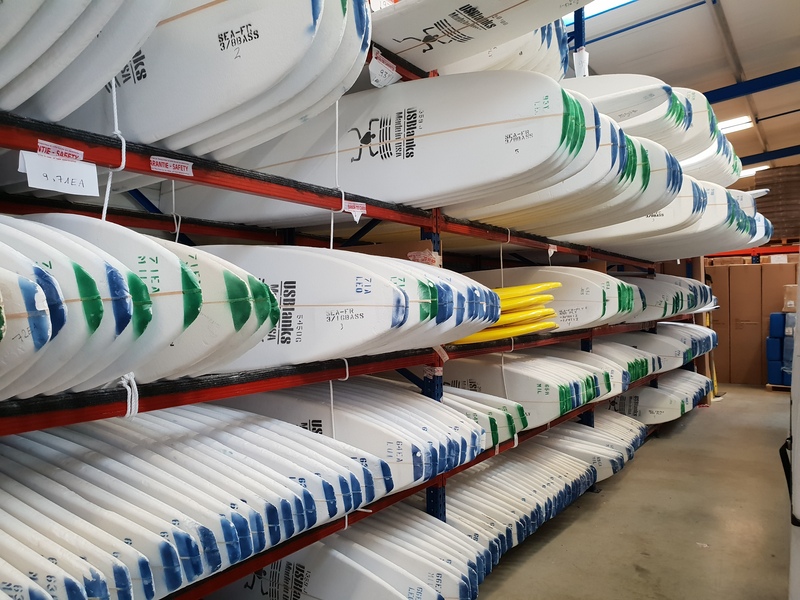 We’ve seen foam companies come and go – this is the foam from which all our production is produced, and we recommend (and guarantee) every blank we sell.